Back in December, we held a Cookbook Club cookie exchange and each baked several varieties from Martha Stewart's Cookies. 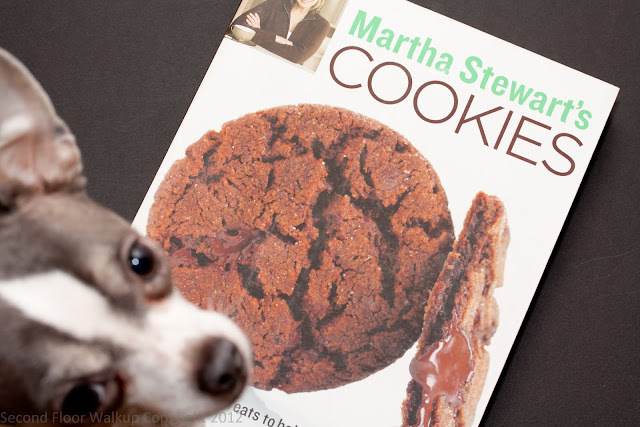 I originally picked up the book a few years ago, when I ran out of ideas for different types of cookies to make. Despite repeatedly using the book for inspiration, I had never actually baked any of the recipes as written. There are 175 cookie recipes in the book, grouped into categories like "light and delicate" and "chunky and nutty." The reason I initially bought the book is the unique layout on pages 7-17 - each of the 175 cookies, grouped by category, is photographed from above with the name and page number of the recipe below. It's an excellent way to browse the many recipes in the book, and even better for deciding exactly which kind of cookie you're craving. So, good friends, lots of cookies, and recipes from the woman Oprah calls "America's Homemaking Queen" - what could go wrong? The recipes don't work. She may be able to make a centerpiece, and lay out a beautiful cookbook, but the lady does not know how to write cookie recipes. In her defense, the recipes were likely written by ghostwriters. But, she puts her name (and face) on the book, so she's endorsed whatever lies within. We made over 10 different recipes from the book and each had the same complaint - the baking time and temperature is waaaaaay off. The book should be renamed Mile-High Cookies: Recipes for Baking at Altitude, because it's the only way the times and temps would start to make sense. This was not baker error or faulty equipment - this was a problem found among six bakers in six different kitchens. When we modified the time and temperature for our second batches, they baked properly. But, I still wouldn't use the recipes in this book. 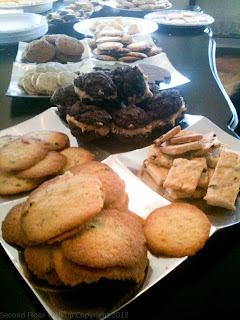 Many of the recipes are based on a standard shortbread dough, with spices and such mixed in to change up the flavor. I get it, if I had to come up with 175 recipes by a publishing deadline, I'd probably phone it in too. But if I'm going to be making a glorified shortbread cookie, then I'll be using my own recipe. If you can find this book used or on sale, then pick it up, rip out and save pages 7-17, and recycle the rest.